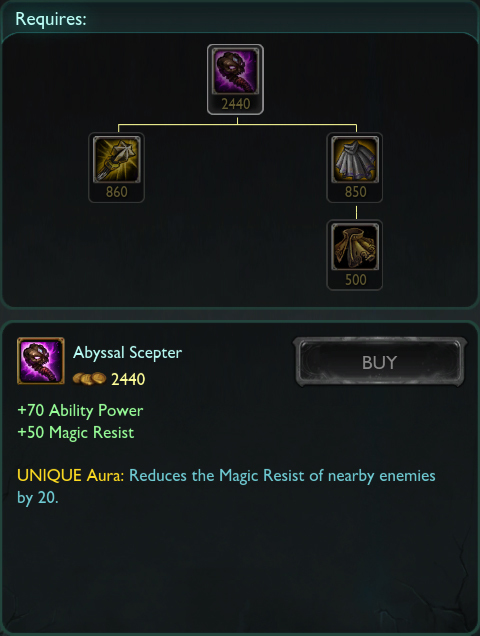 Now once again shreds both Armor and Magic Resist (revert on the change in this PBE update). Additional damage to minions & monsters increasedÂ from 60/80/100/120/140 to 75/100/125/150/175 (revert on the change in this PBE update). Duration of active decreased from 10 seconds to 7, but kills and assists now extend the duration by 7 seconds each, up from 4. Lifesteal bonus increasedÂ from 13/15/17/19/21% to 14/16/18/20/22% (change compared to this PBE update, live value is 9/12/15/18/21%). Charges to heal that ally. (Note)Â Mikael’s Crucible and Athene’s Unholy Grail gain this passive instead of Mana Font. Combine Cost decreased from 340 toÂ 240 (total cost down from 1200 Gold to 1100). Active – Fire Bolt: Dash 300 units in a direction (at 1200 speed) and then unleash a nova of fireballs that deal 100 – 250 (+25% of your Ability Power) magic damage to enemies hit. Enemies hit by more than one fireball take 15% damage from additional balls. (30 second cooldown, shared with other Hextech items).Â This Dash cannot go over walls. New (Additional)Â Passive – Awe: Refunds 25% of Mana spent. EDIT: Switching off the mode while we look into a buff bug. Will update when have news. Mana cost changed fromÂ 50/70/90/110/130 toÂ 60/70/80/90/100. 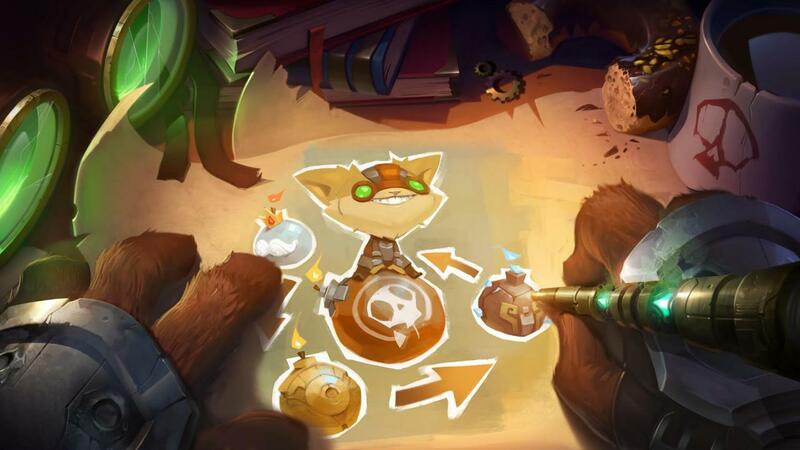 Patch 5.3 will hit live on February 11th and the new PBE cycle will begin on February 10th. [ Note ] You can read on upcoming events, skins and why DJ Sona isn’t in Patch 5.3 in the comments below. Heartseeker Varus will be available in store for 1350 RP. Sweetheart Annie will also be up on sale for 750 RP at the same for Valentine’s Day. For his recall, Heartseeker Varus flies in the air and fires an arrow with the strength of half a Teemo. Marauder Ashe will costÂ 750 RP and will be in store a few days after Patch 5.3 hits live. Marauder Warwick will also be sold for 750 RP. Warden Nautilus will be available for 750 RP a few days after Patch 5.3 hits live. Warden Sivir is priced at 750 RP and will be available shortly after Patch 5.3 hits live. A new ward skin to go with Heartseeker Varus and Sweetheart Annie will be released around Valentine’s Day. The Heartseeker Ward, when placed, hovers above the air for a bit before being struck by an arrow and going invisible. New icon for Valentine’s day! No info yet on whether it’ll be available for IP. Now stores up to two charges of wards. Regains a new charge every 60 seconds. Zyra’s plants now have indicators for range. Below are both versions of her plants. The Camera Move Speed option has been split into two options for both mouse and keyboard. The audio bug with Firecracker Jinx’s minigunÂ has been fixed. Fiddlesticks,Â VeigarÂ and Lord Mordekaiser have received texture updates in this patch. Bonus: Arctic Ops Kennen received a texture update in a small PBE patch. I’ve merged both patches here. Active: Throw a Poro a long distance, dealing true damage to the first enemy unit hit. This ability can be recast for 3 seconds if it hits an enemy, to dash to the target hit. Dashing to the target will reduce the cooldown of Poro Toss by 5 seconds. Poros are not blocked by spell shields or wind walls because they are animals, not spells! Passive: Hitting an enemy champion with a Poro gives your team a Poro Mark. Upon reaching 10 Poro Marks, your team summons the Poro King to fight alongside them. While the Poro King is active, no Poro Marks can be scored byÂ either team. Active: Quickly dash to King Poro’s side. Can only be cast while the Poro King is summoned for your team. The match starts with everyone at level 3. You also get a few poros to follow you. The goal is to score poro hits on enemies with your Poro Toss. The goals are displayed on the top-right score graph. Get 10 goals and you summon the Poro King, who will tank towers and let you push. He’ll also occasionally throw poros around for lols. Problem is, the Poro King does almost no damage and has the AI of a bronze player. As a result, he’s more of a tanky waypoint for you to teleport back to with To the King!Â and not a worthwhile objective. A TL;DR would be:Â the new game mode is ARAM where you get to pick your champion and everyone gets a Lee Sin Q. These five Summoner Icons each cost 250 RPÂ in the store. They also change how the poros that follow you look. These two are still a mystery, but I assume they’re rewards for playing the new game mode. Played on the Howling Abyss,Â Legend of the Poro KingÂ is a 5v5 Blind Draft game mode, where your goal is still to destroy the enemy teamâ€™s nexus. However, youâ€™ll have some Poro companions with you (to throw at each other of course), be diving deep to make #bigplays and work together to summon some help from the legendary Poro King himself. Throw a Poro a long distance, dealing true damage to the first enemy unit hit. This ability can be recast for 3 seconds after it hits an enemy to cast Poro Dash, which will dash your champion to the target hit. Dashing to the target will reduce the cooldown of Poro Toss by 5 seconds. Passive: Hitting an enemy champion with a Poro gives your team a Poro Mark. Upon reaching 10 Poro Marks, your team summons the Poro King to fight alongside them. While the Poro King is active, no Poro Marks can be scored by either team. Active: Quickly dash to the Poro Kingâ€™s side. Can only be cast when the Poro King is summoned for your team. — Tanky siege minion with a LOT of health. Let him be your front line! — The Poro King absorbs all Poros within his range being thrown by the enemy team, making him a powerful pushing force. — The Poro King will heal nearby allied champions every 5 seconds for health and a smaller amount of mana based on the teamâ€™s average level. — Every 5 seconds, the Poro King will lob out Poros in an arc around him, dealing magic damage to enemies where they land. — Play flow art placeholder. Coming soon. — Loading screen art placeholder. Coming soon. — Some VO still missing from the Poros. Blood Moon Elise is now distinctlyÂ more blood-colored. Check out her full preview here. Now applies Dread, Fiddlestick’s passive. Duration of ult unchanged: 3/4/5 seconds. Now builds out of the new Negatron Cloak (850 Gold) and a Blasting Wand ( 860 Gold). Combine cost is 730 Gold. [ Note ] The item is currently disabled and can’t be purchased. Winter Wonder Ori will be up in store for 975 RP after Patch 4.21. For her recall, Winter Wonder Ori summons an audience of poros to watch her dance ballet. 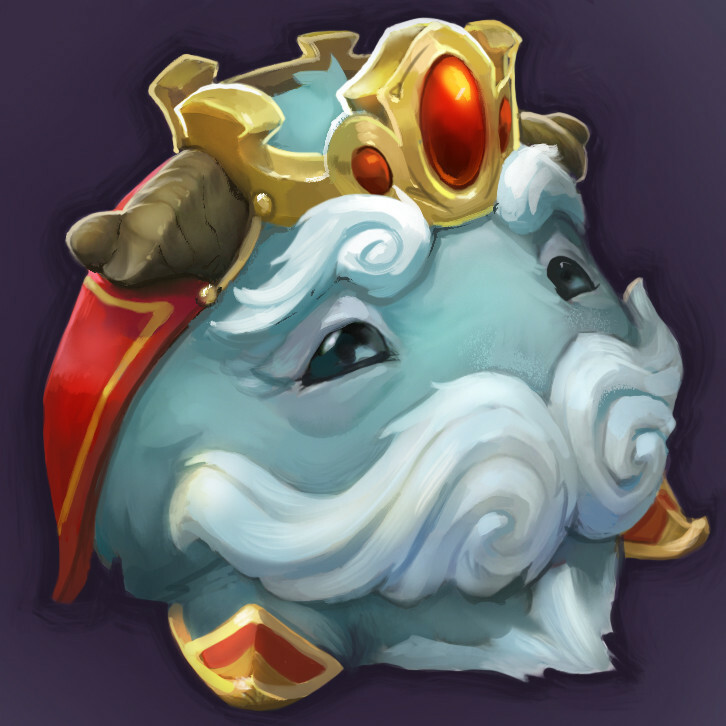 Another Poro icon! Check out the rest here. No longer stacks on poisoned unit kill or on Twin Fang casts on enemy champions. Now, stacks once every 6 seconds (10 times per minute) and for every second that an enemy champion is poisoned. Delay changed to actually function as intended (previously hitting between 0.25 and 0.5s). Now has a 0.4s delay. Now adds a debuff on the target which amplifies further poison damage by 25% for 5 seconds, stacks up to 2 times (50%). Can now silence a target only once, regardless of how many times it’s bounced to that target. Dark Wind prioritizes Champions it hasn’t yet hit. Malphite, Shen, Wukong and Xin ZhaoÂ got texture updates to their base model and skins in this patch.